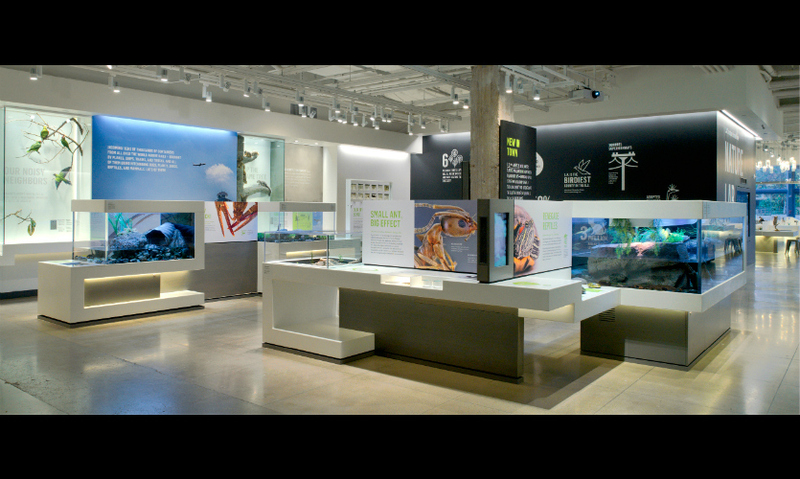 The Nature Lab is a 6,500-square-foot, hands-on gallery showcasing live animals, media interactives, scientist demonstrations, and more than 200 specimens for visitors to the Natural History Museum of Los Angeles County. Los Angeles is located inside a biodiversity hotspot, and the evidence is everywhere—if we know how to look. 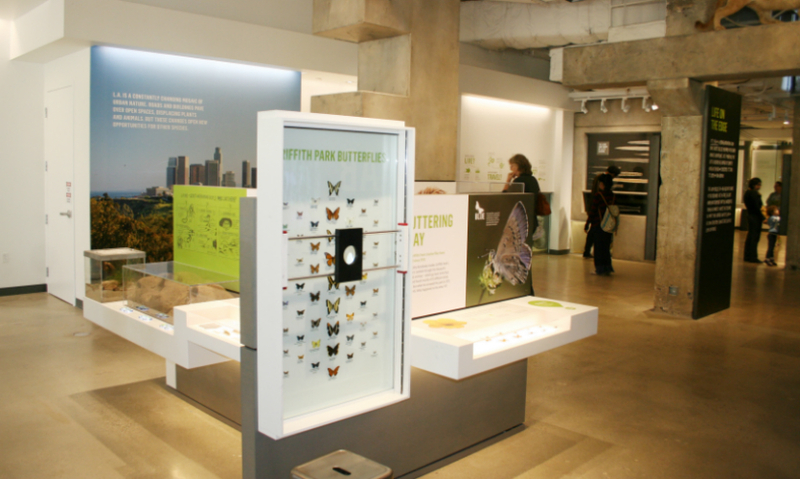 The Nature Lab is the place where visitors can “put on their nature eyes” and learn to see what they’ve never seen before about wildlife in Los Angeles. 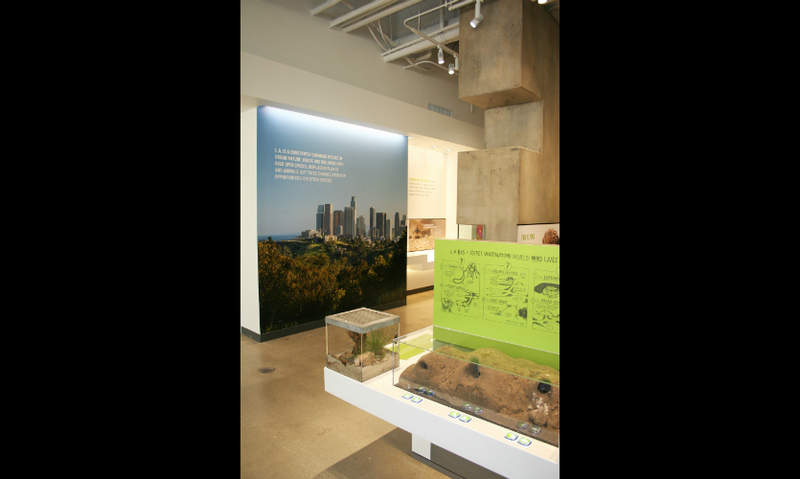 Working closely with museum staff, Gallagher & Associates developed a unique new approach to the interpretation of urban ecosystems and the creatures that live in our cities and communities. 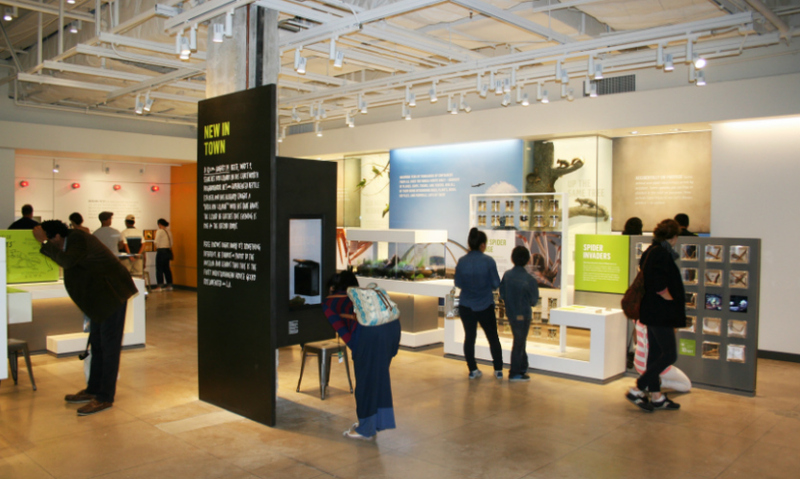 Nature Lab offers a detailed look into the interesting lifestyles, adaptations, and challenges facing urban wildlife. 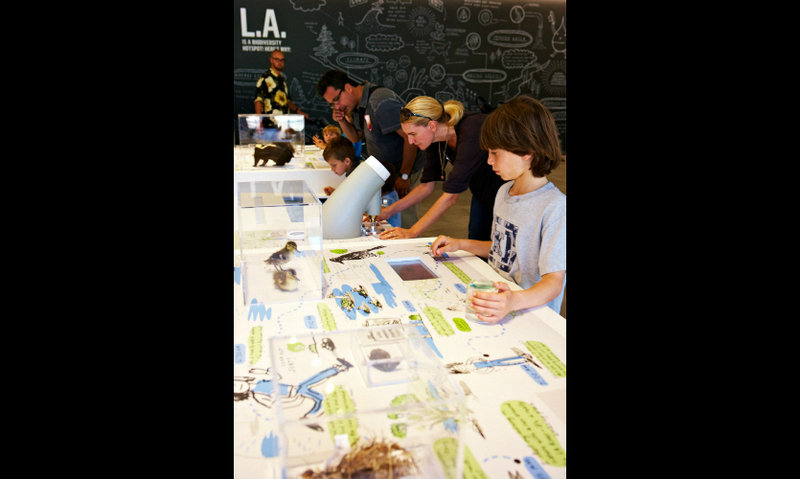 Visitors of all ages participate in biological research, learn scientific methods, and engage in hands-on activities that build observation skills. 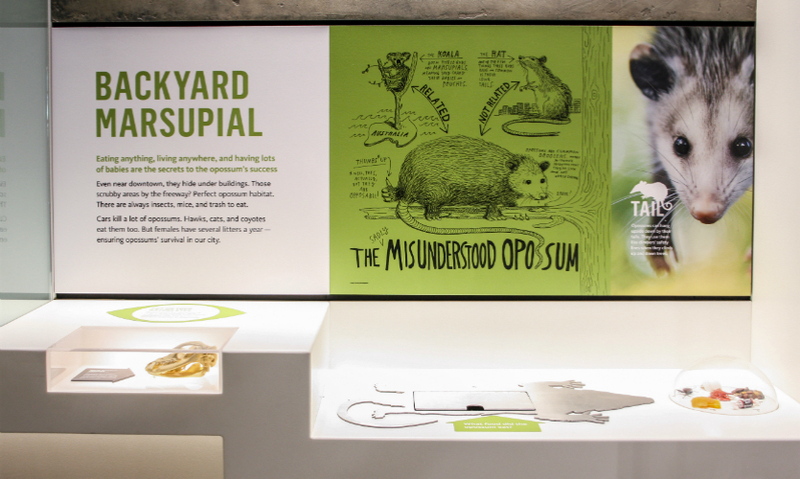 By featuring stories of a displaced mountain lion, confused coyotes, playful rats, and curious opossums, visitors are motivated to better understand and respect the animals living in their communities. 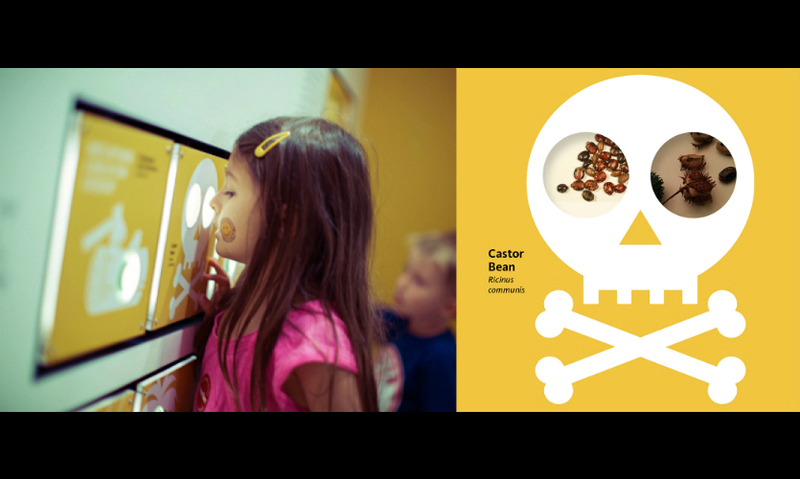 Gallagher & Associates developed customizable social media solutions to inspire children and adults to participate in an ongoing research initiative documenting living specimens using networked cameras. 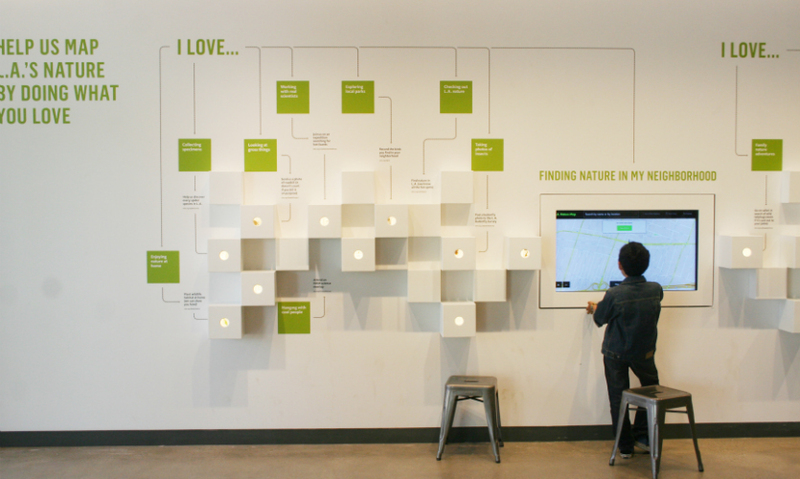 Called “Citizen Science,” this has become a first-of-its-kind visitor observation system to incorporate the Internet. 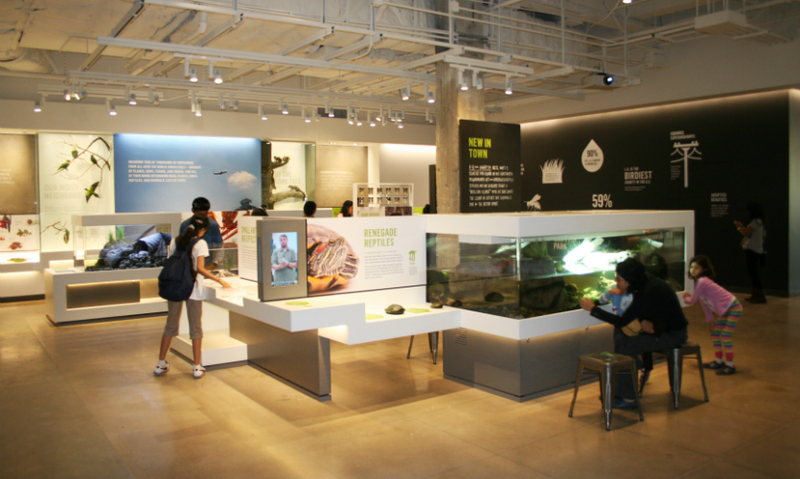 Interactive communal tables and a working laboratory provide visitors more opportunities to investigate plants and bugs found on the museum campus, in their schoolyard, or in their own backyards. 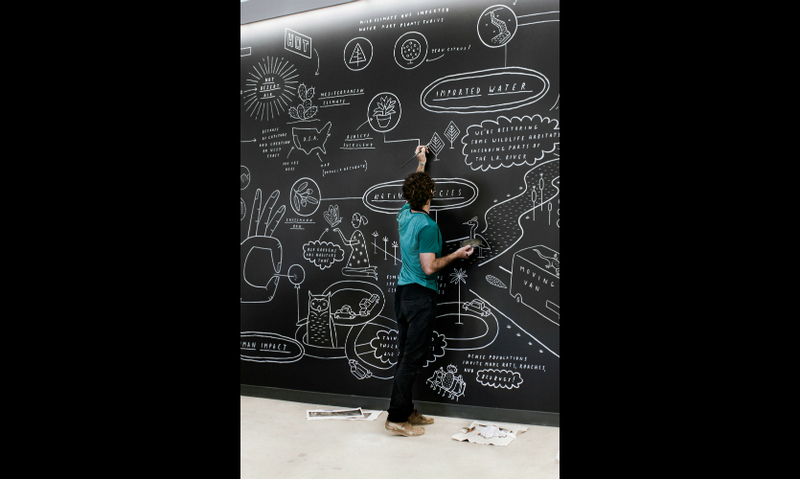 Content was developed in a layered, highly visual way to satisfy visitors of all ages, whether they read only headlines or want to “dive deeper.” KBDA developed simple infographics to help visitors connect to the work of the scientists, and commissioned illustrations inspired by graphic novels to help tell personal stories. 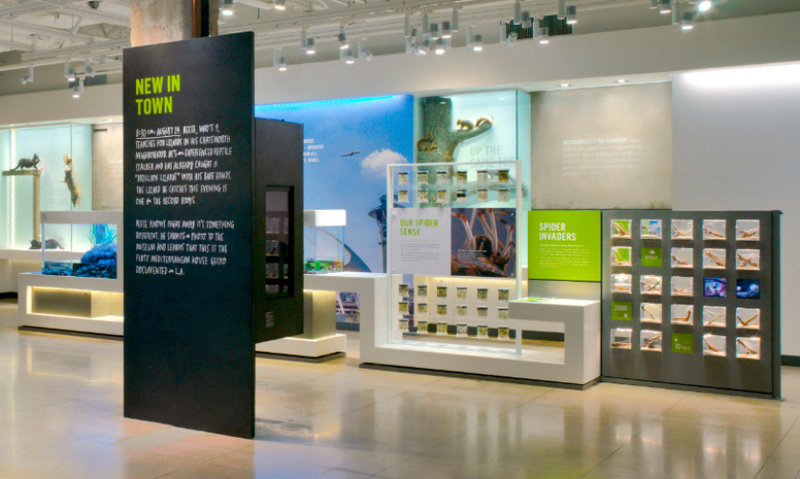 Because the exhibit has six different entry points, KBDA took great care to create a clear and consistent layered hierarchy of wayfinding and storytelling throughout the gallery, so visitors can easily navigate the experience, no matter where they begin. 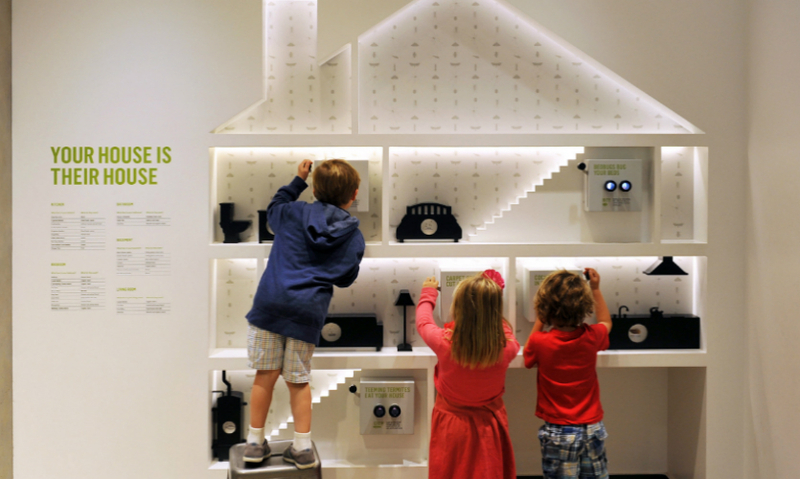 Materials were chosen to subtly evoke the urban environment while also withstanding heavy use. 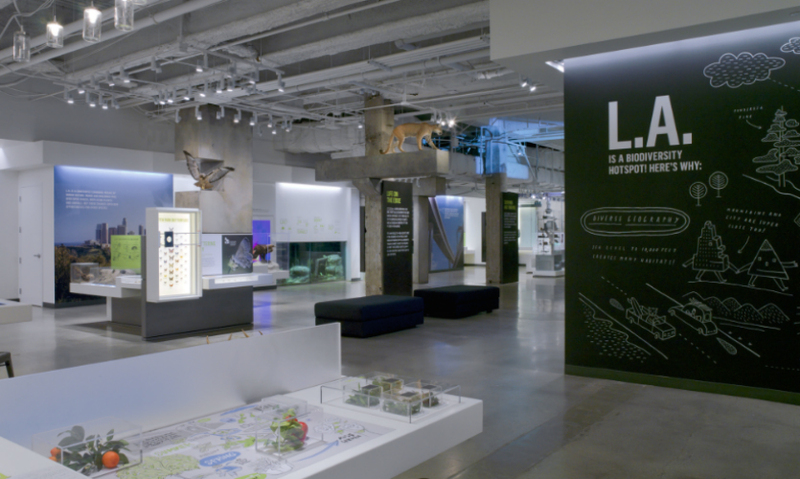 A 75-foot façade of glass doors on the north side of the gallery opens out to the Nature Gardens and allows natural light to pour in—giving visitors a true indoor/outdoor experience and a feel for LA’s urban and natural spaces. 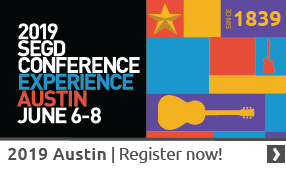 Find content in your area of interest in the SEGD Xplore Experiential Graphic Design index. 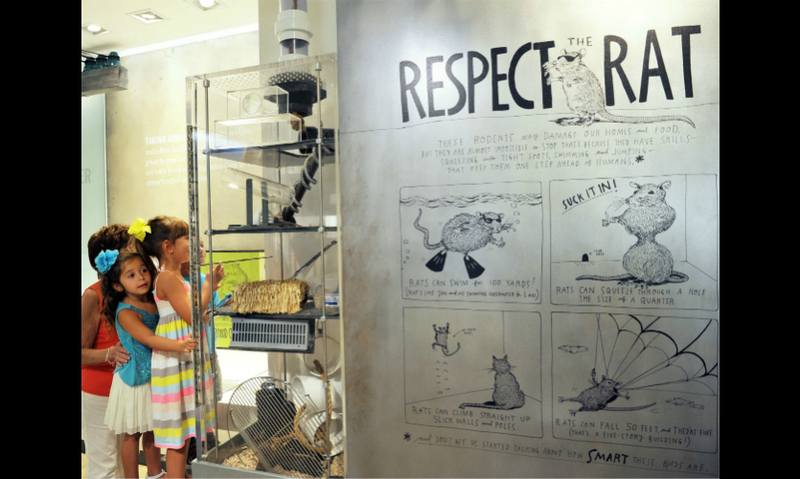 “It is so nice to see children interacting with nature’s creatures (which they may normally be scared of) thanks to the fun, creative, and easy-to-follow graphics that are encouraging interactivity as a form of learning."